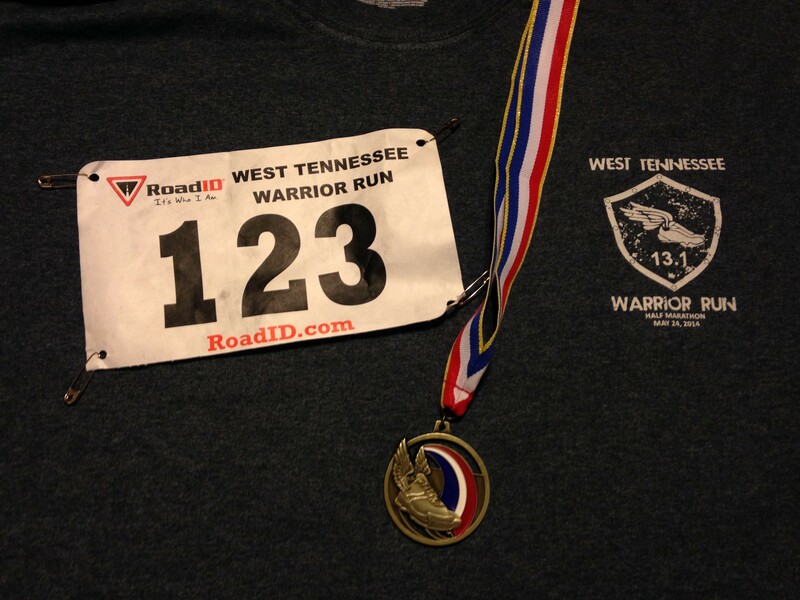 Saturday was the West Tennessee Warrior Run in small town Gadsden, TN. An acquaintance turned my onto this race, and since it was within driving distance for me, I decided what the hell. 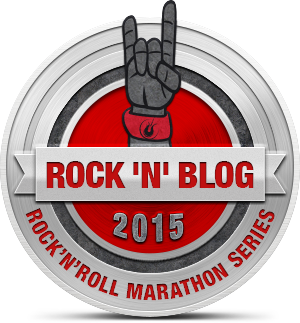 This was my tenth half marathon and fifth thus far in 2014 (since March 16 actually). 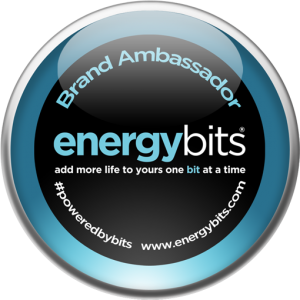 It leveled me up in the Half Fanatics and I earned every bit of the milestone with the heat and hills. The race started at 8 am, which is a tad late for May in the south. The first hour of the race was comfortable, but then the clouds dissipated and the heat set in. And my running splits reflected this heat wave. Miles 1-7 were very consistent and strong. I was not on pace for a PR, but it was going to be a solid race. But then I succumbed to the heat and my pace fell way off. Mile 12 was absolutely brutal and by the end, I crossed the finish line with a personal worst time. But I finished, and now I am in double digits for half marathons completed. This was by far the smallest race that I have participated in with only 46 runners. This was the first year for this event, with the proceeds going to the Crockett County Christmas Store which provides Christmas presents for underprivileged area children. It is a great cause, and even though this was a rough race with generic swag, I was happy to run and support this cause. Consider this a training run for a cause. 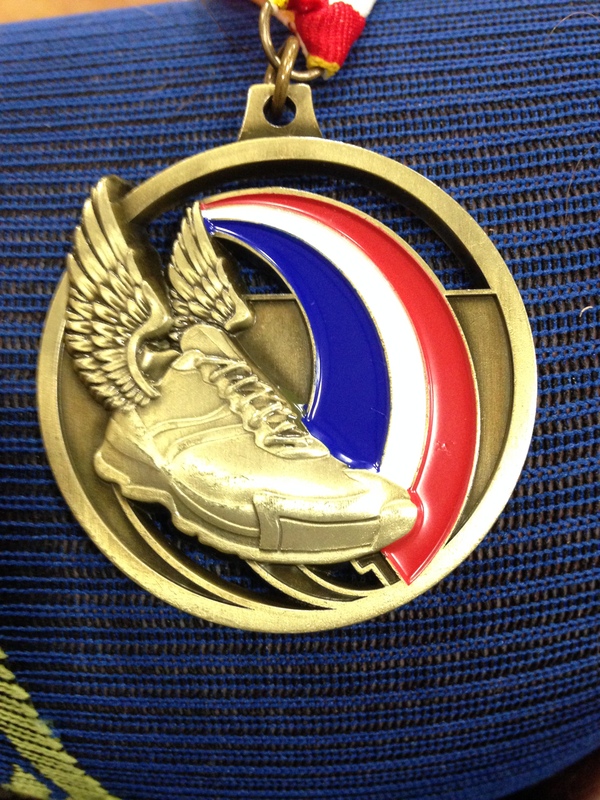 Every medal you get cannot be the best you have ever gotten. 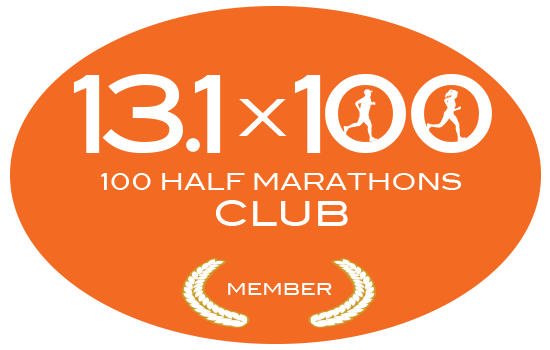 I am running in two half marathons later this year in which I will not even get a medal. However, the theme of the race could have produced a great medal, especially with the race falling on Memorial Day Weekend. Oh well. Saturday I will be running in the Oak Barrel Half Marathon for the first time. The race takes place in Lynchburg, TN, which is in Middle Tennessee and has a much more hilly terrain than here in Memphis. Lynchburg is also the home of Jack Daniels Whiskey, even though it is in a dry county. Jack Daniels is a title sponsor of the event and my trip there this weekend will include a tour of their facility after packet pickup on Friday. I will do my usual post race recap about the event, but the more I read about this race, the more anxious I get about the course. It should be challenging, beautiful, and fun. For those of you unfamiliar with the terrain, I thought I would share what I will be facing on Saturday. The hill is so famous that it has a name and Facebook page! This is NOT a flat course. 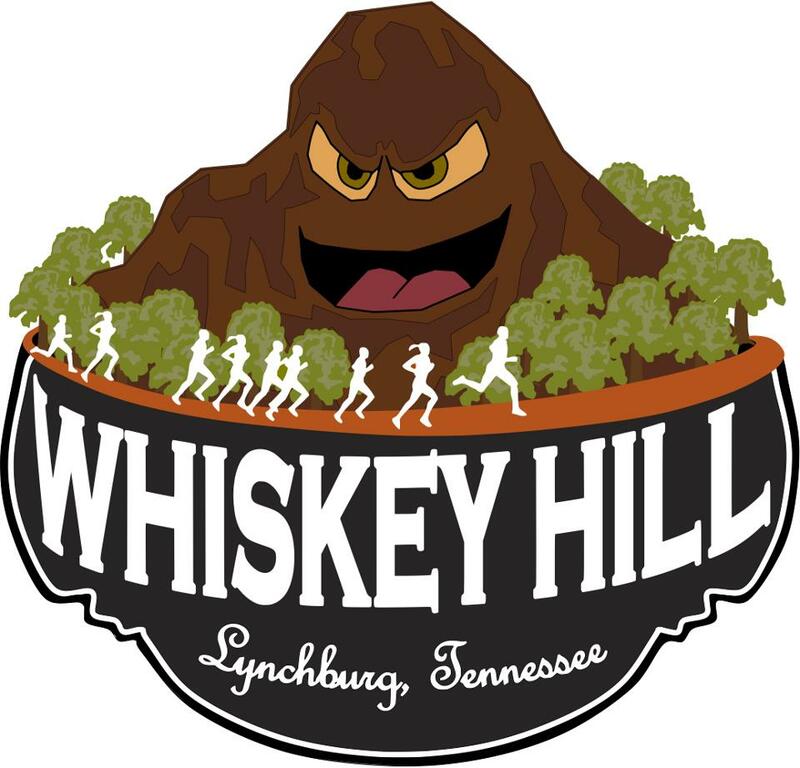 There is one character building hill (Whiskey Hill) that starts at about mile 4. Whiskey Hill is a gradual climb for about a mile. The last little bit of it however gets very steep. The steep part is very short. There is one other hill that is very short. There is a gradual downhill section that runs from about mile 9 to 12. The last mile is flat. They do not mince words there, now do they? They also warn runners that this is not a PR course, but rather enjoy the challenge and the beauty of the course. That is my plan. I have no specific time goals, but rather I want to enjoy the run and experience. This course will definitely help me mentally prepare for the Country Music Half Marathon at the end of the month. The advertised course with elevation. As you can tell for the photo of the course, Whiskey Hill dominates the course. You are basically running up a ridge, and then back down. So as that steep climb begins, I will be certain to remind myself that what goes up, must come down. This will not be like your grandparents’ stories of walking to school uphill both ways. Also my current PR is on the hilliest course that I have ever run, so I will be reminding myself of that as well. The race medals have not been advertised yet, but they are made of oak, resembling oak barrels. Apparently you can have the Jack Daniels Master Distiller sign your race medal, which if this is the case, I will certainly do that because it is different from other races. My half marathon training is plugging right along, even if I am not doing as much cross-training as I need to. That WILL change this week. I am certain of this fact. But at least I have still been logging my miles close to schedule and I have been pain free, so I will take these two positives all day long. Monday: This was my rest/easy workout day since my long run for the previous week was on Sunday. I just did some stretching, crunches, planks, and pushups. Tuesday: I wanted to run five miles, but I had to settle for two. It was very hot and humid, and early on my run, it felt like I had been hit in the stomach with a sledgehammer. I almost puked multiple times within the first mile, and I decided not to push it. I am up to enough weekly miles that this will not hurt me too much. 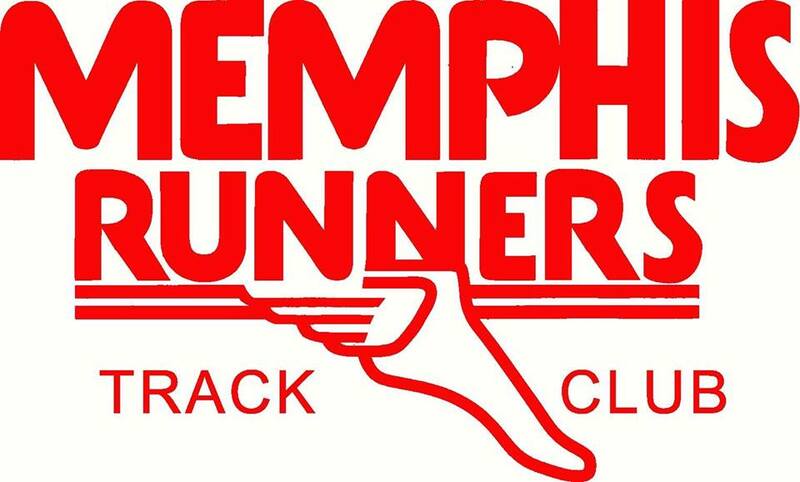 Wednesday: I did what I should do everyday I want to run during the Memphis summers, run early. I woke up at 5:30 am and ran 4.34 miles in the muggy morning air. I intended to do some TRX after work, but I decided to donate blood during the annual blood drive at work, and decided against working out. At least I got some miles in before work. Thursday: Despite my best intentions, I slept in and had to run after work. Fortunately for me, a cold front moved in an my run was in sub-90 degree heat with only 80% humidity. I completed a little over four miles when Susan called and reminded me that we had a neighborhood association meeting to be at in ten minutes. Whoops! I hightailed it home and finished with a total of 4.68 miles. Friday: I was traveling to my parents’ house so I did not get in any sort of workout. I like to think that I was resting my legs for my long run on Saturday. I did get some good news during my drive though. The parents for one of my closest friends informed me that they would be traveling to Disney to cheer me on in the marathon in January! That was quite the welcomed surprise! Susan may already have the whole trip planned, including what shirt she wants me to race in. Another positive was that I was able to listen to the Atlanta Braves on my drive up. I think the radio people for the Braves, Jim Powell and Don Sutton, are some of the best in baseball. I cannot say the same for their typical TV announcers, so it is a treat when I have an excuse to listen the radio guys. Saturday: My training plan called for eleven miles this week and that is what I was going to do, regardless of location. I did not, however, expect it to be as big of a challenge as it was. My parents live on a country road with no sidewalk or shoulder, so you must run in the middle of the street. The street is no more than two miles long, so I knew that I would need to incorporate some more streets into my route. There is a major, four lane highway near my parents that I was assuming was going to be my best bet. However, when I got there, I noticed that there was somehow no shoulder, so I was stuck running in the turn lane for about half a mile until I could hit another side road. 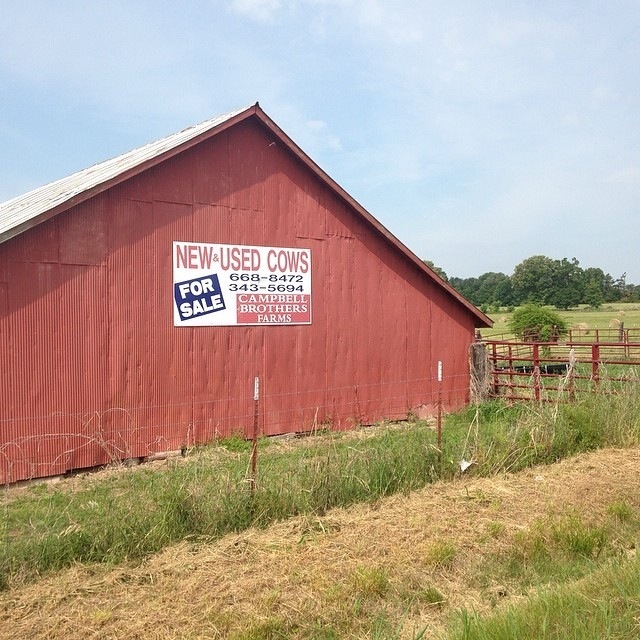 I spent the next nine miles zigzagging through random country roads to get my miles. I noticed a stark difference in my Memphis route versus this route. Memphis is not nearly as hilly as these streets were. There were several steep climbs and the final mile was all uphill, which I hated while running it, but I am certain that it will pay dividends in the future. The highest point in the run was 634 feet which immediately followed the lowest point of the entire run at 206 feet. I need to remember this hill when it gets closer to time to run in the Four Bridges Half Marathon. Sunday: Today was a recovery day. After returning home from my weekend away, I went to the gym for a little bit of stationary bike time. I rode at a solid, but not blistering pace for thirty minutes. I was not in my calorie burning and weight loss mold, but rather trying to keep the lactic acid from building up too much. I read a little bit on my iPad while I rode, and once I finished, I did an extra long stretching session. Next week is now setting up well for my return to a balanced workout schedule. Also, I will have an exciting announcement coming tomorrow about my first giveaway! I took yesterday off from working out after giving blood, so my running schedule has been pushed back a day. That means my twelve miler will be Sunday and today was a short training run. I made it to the gym for the first time all week so I could utilize the treadmill to do the hill training program that I had forgotten to do until today. Running on the treadmill isn’t quite as scenic as doing my hill work running the roads, but it is much easier to control and coordinate, most of the time. I decided to run for thirty minutes and the program was designed a little different than I was expecting. I chose level 4, which meant the hills were a grade of 9% grade, but the speed was just a thirty minute per mile pace. Obviously, that wasn’t going to work, so I bumped the pace up to a ten minute mile, but every time the elevation would change, the pace would drop back down. This was quite annoying, but after a few minutes, I was able to finally get the speed stay constant. 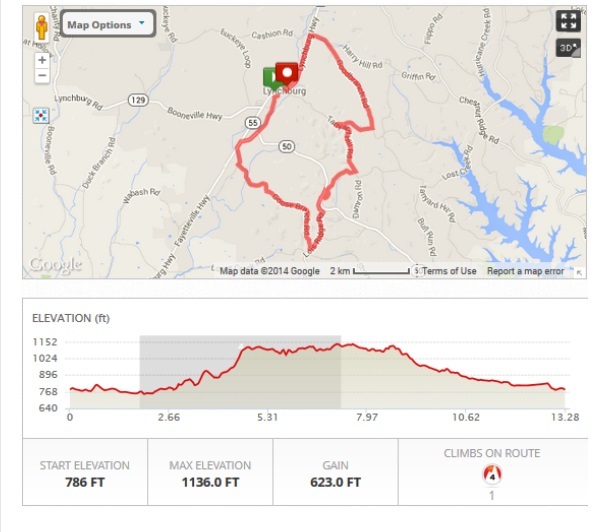 The course started with a warmup, then would alternate between 9% hills and 1% rest periods. There were no gradual elevation changes, just peaks and rests. Next week, I may try the calorie burner which gradually builds to the apex, then slowly comes back down, but I’m not sure yet. My first impression after the circuit was that burpees are as hard as I remember from high school football. Also, doing the workout at the gym required a lot more running around than if I were doing it at home, so that only enhanced my workout. I’m sure some of my fellow gym patrons wondered what this sweaty weirdo is running around the gym, going up and down the stairs, jumping on chairs, and the such, but I guess no one is there to judge too much. Tomorrow will be another day off from running, but will be a TRX workout day. 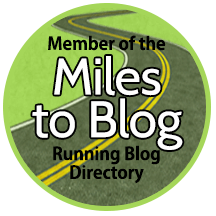 Yesterday was my designated weekly long run, and since I decided to indulge a little (or a lot) for the Super Bowl, I didn’t get around to blogging about it. This week’s distance was ten miles, and I only have two more weeks before I taper for the Germantown Half Marathon on St. Patrick’s Day. I had another near perfect day for running with temperatures in the low to mid fifties, a steady breeze, and not a single cloud in the sky. Sunday mornings Susan and I actually cook breakfast instead of my normal cereal and fruit, and despite my looming run, I decide to stick to this routine. Needless to say, my turkey bacon, scrambled eggs, and biscuits were not my ideal breakfast prior to a run. Therefore, I opted for the early afternoon run, hoping that my breakfast would have settled by then. I started off very sluggishly, posting my slowest split for mile two, which was fifty-one seconds slower than mile one. The early sluggishness had me second guessing deviating from my norm as much as I did, but as I approached mile five, I realized that I was feeling stronger each mile, even if my time was improving exponentially, and my form was maintaining. I waited to use my GU until I had logged 6.73 miles. Ideally, I use it around mile seven for a half marathon, so I was right on pace for that. I didn’t drink quite as much water during the run as I typically do during training runs, but I never felt that I was depriving myself of water, nor did I think I was in even a remote chance of dehydration. I tried to steer my route towards as hilly of a terrain as I could find in my neighborhood to help mimic the Germantown course and I was be doing so hill routines on the treadmill at work the next couple of weeks. Yes, I probably should have been doing this longer, but a couple of week of it is better than no weeks. 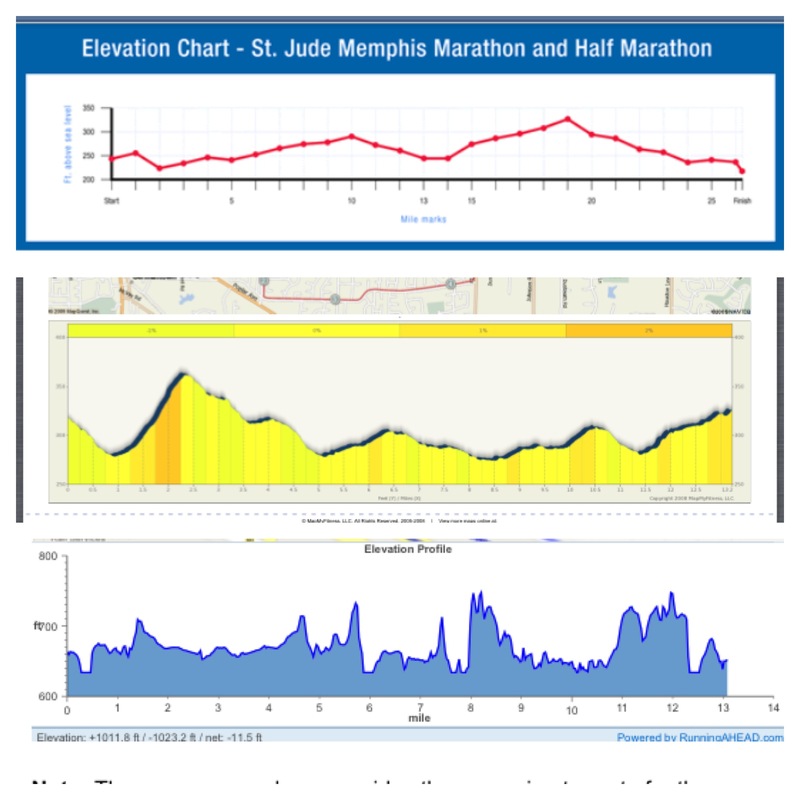 The Germantown course has more hills that the St. Jude course, which is the only half marathon course that I have even run, and both are flatter than the Four Bridges course that I will be running in October. As you can tell from the comparison of the three course, I should be expecting some new challenges. I do like that the steepest hill in the Germantown Half is early in the race, I am going to try to run a couple of more segments of the course this month to try to get familiar with it. I won’t have that luxury with the Four Bridges Half Marathon, so I guess I will rely on Google Maps and the treadmill for that one. Despite my sluggish start, Sunday’s run was a success. I finished 10.27 miles with a 10:08 pace, which if I maintain that during the race, I would set a personal record. My legs felt good after the run and even though I didn’t have the same elevations as my upcoming run, I am still confident about doing well in the race. One major reason, is because I was able to maintain a consistent pace for most of the run! Well, except mile two, but my lethargic early run probably helped me maintain the consistent pace later on in the run. If this run would have been on any other day besides Super Bowl Sunday (except Thanksgiving, I suppose), I probably would have seen positive results on the scale. But since I enjoyed a few beers, some wings, several dips and a plethora of desserts, I pulled of the rare feat of burning a ton of calories and still gaining weight! Oh well, I’ll just work a little harder this week to return to my norm. I have already taken the stairs to my office once today (I’m on the eighth floor) and I will probably at least one more time today. It will also serve as good training for the hills and my upcoming obstacle races!